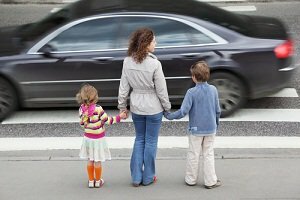 Pedestrians are more likely to be injured or killed in the District of Columbia when compared to other motor vehicle accidents. In the District of Columbia, more than half of those killed in traffic accidents and 20 percent who died in Maryland were pedestrians, according to a 2010 federal study released last year. On average, over 2,600 pedestrians and bicyclists are injured in this region every year and 89 are killed. Motorized fatalities have dropped more than a one-third from 307 in 2000 to 202 in 2011. However, in this same time period, the percentage of pedestrian fatalities in relation to total traffic fatalities has increased.In 2000, there were 87 pedestrian and 5 bicyclist fatalities out of 399 total traffic fatalities (23% of the total). In 2011, there were 76 pedestrian and 6 bicyclist fatalities out of 284 total traffic fatalities (29% of the total) according to the Metropolitan Washington Council of Governments. My firm has been representing individuals who have been injured by negligent motorists for almost 30 years. Even though many auto accidents are minor fender-benders, they nonetheless result in a shocking number of severe injuries and even death. In addition to disability, victims often experience substantial pain and suffering, emotional distress, lost wages, medical expenses and property damage, all of which may be recoverable through legal representation. Sadly, many car accident victims never receive the full amount of damages to which they are entitled. Many car accident victims, unaware of the full value of their claims, accept the first offer they receive from the insurance company. Insurance companies want to settle your case as soon as possible – and for as little money as possible. You need time to determine just how serious your injury is, what medical treatment or physical therapy you need, and how much your lost wages will be. We strongly recommend that in order to protect your rights and interests, it is crucial to retain a qualified personal injury attorney as soon as possible after you have been injured.